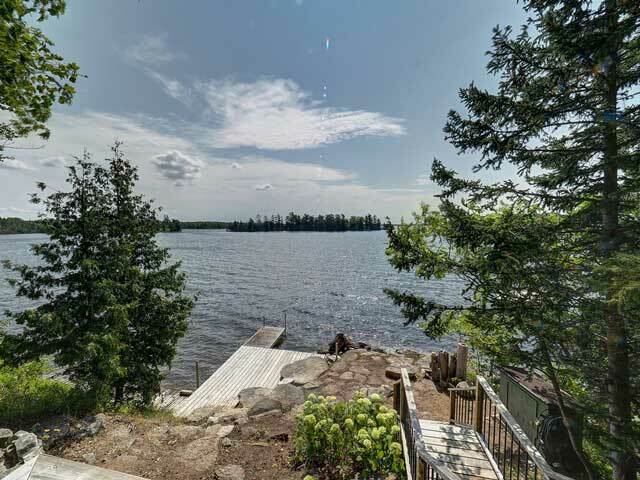 This listing is no longer available - please visit our listings page. 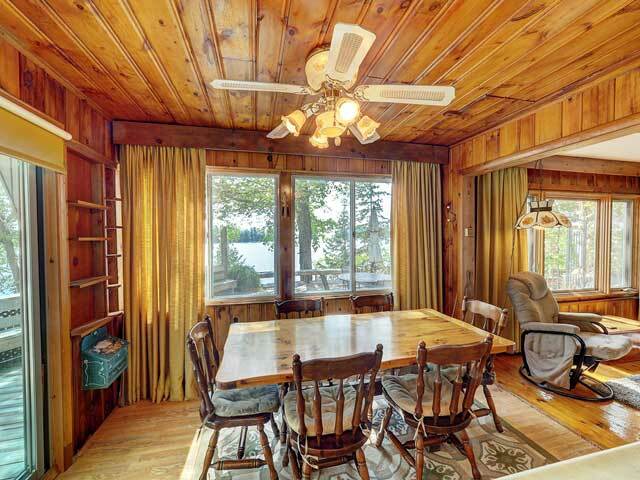 This is a lovely three season property on Juniper Isle, with 79 feet of south-facing waterfront. 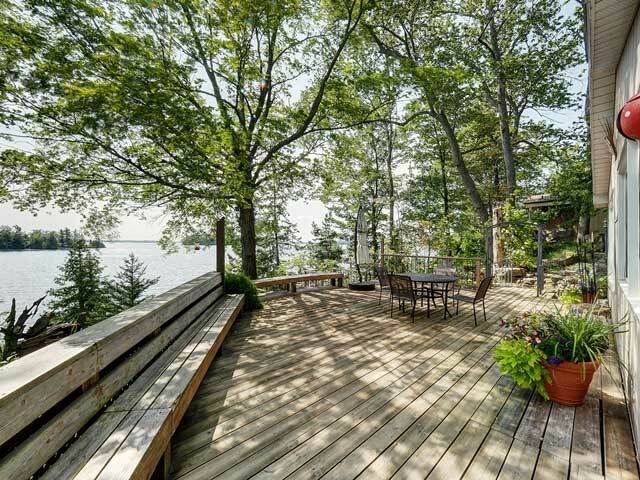 The cottage is moderately elevated from the water, and has a large cedar wrap-around deck that is framed by mature deciduous trees. 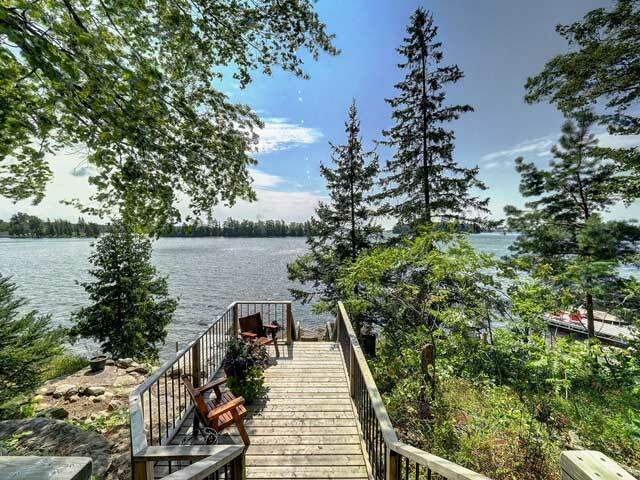 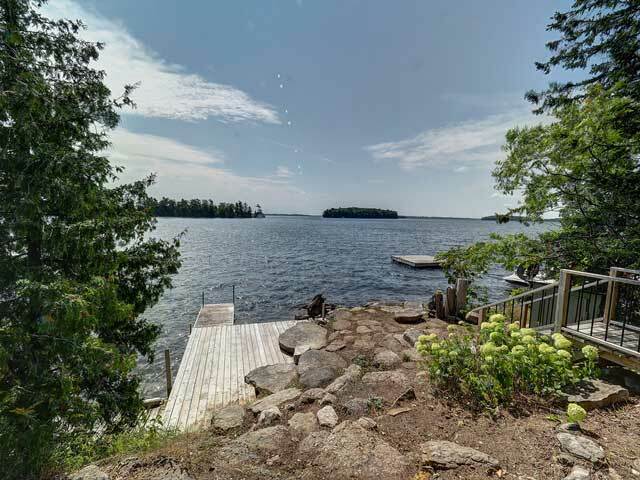 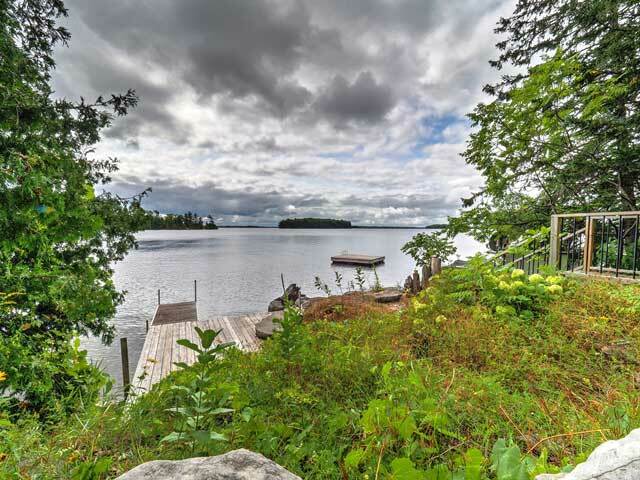 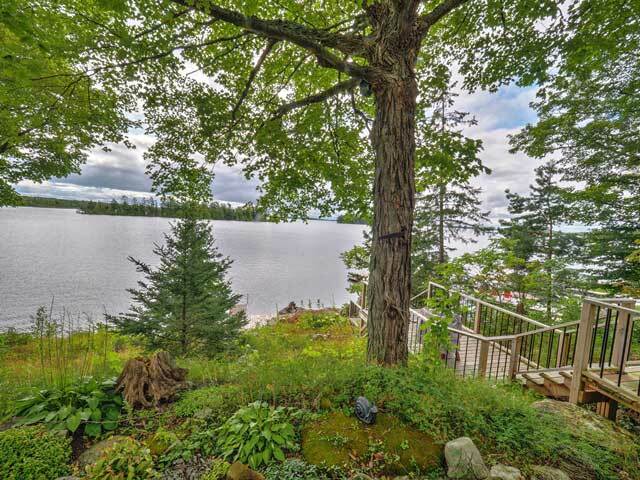 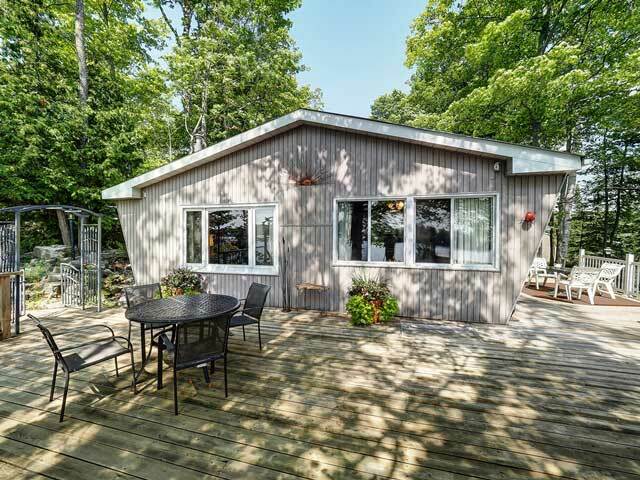 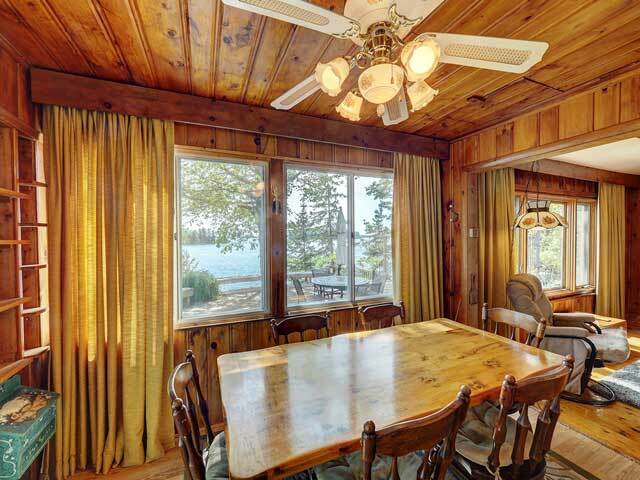 This setting provides a perfect sun-dappled platform for entertainment and relaxation, and superb vistas over the expanse of Balsam Lake. 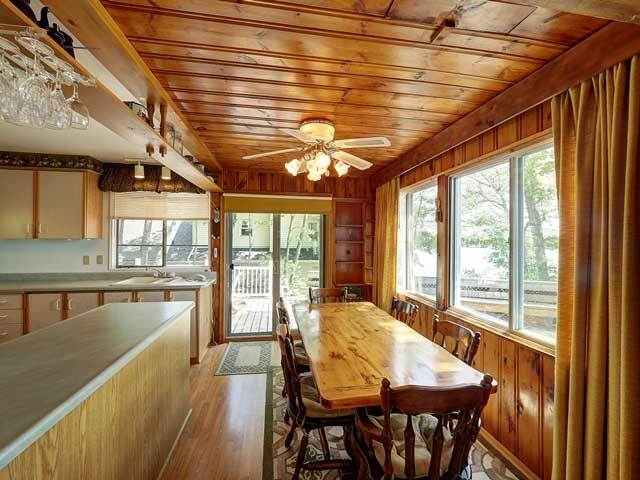 The east-facing deck has a newer (3 yrs old) retractable awning. 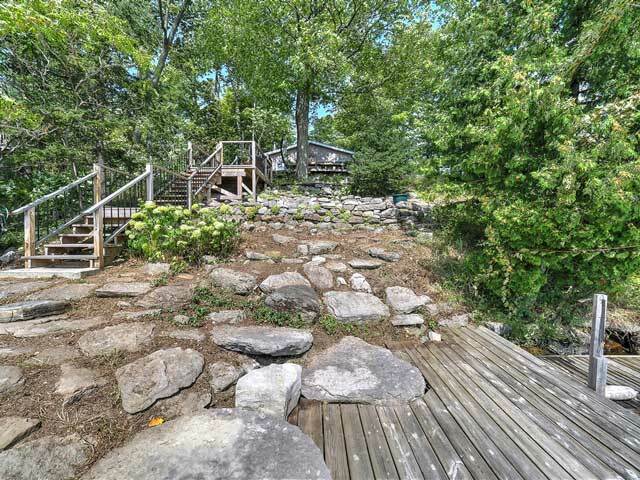 A newly rebuilt stair system provides easy access to the waterfront. 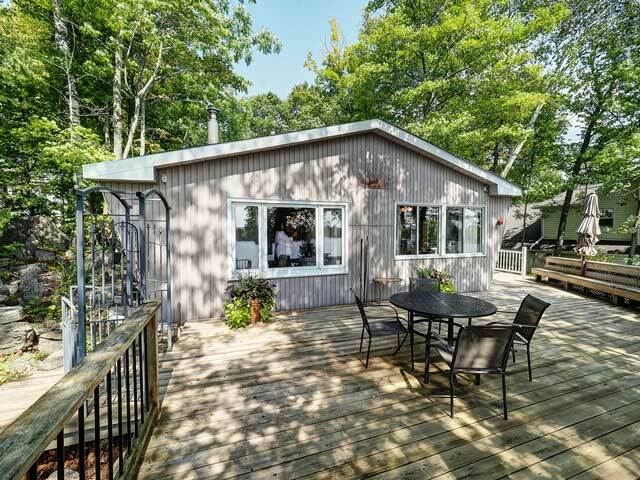 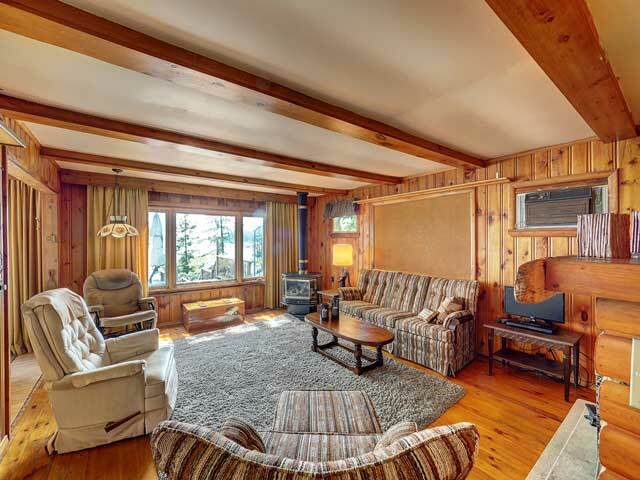 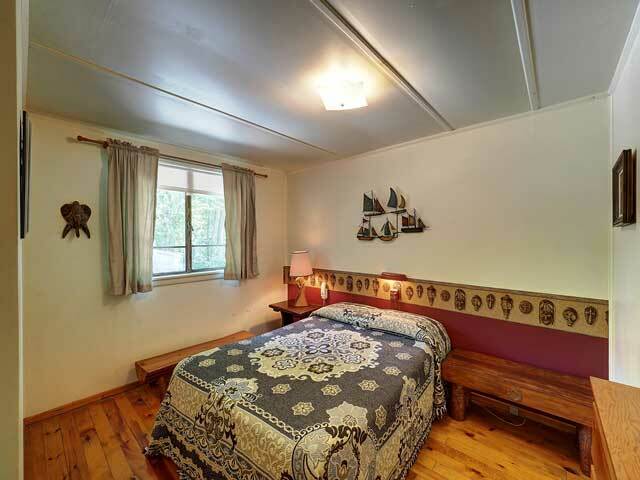 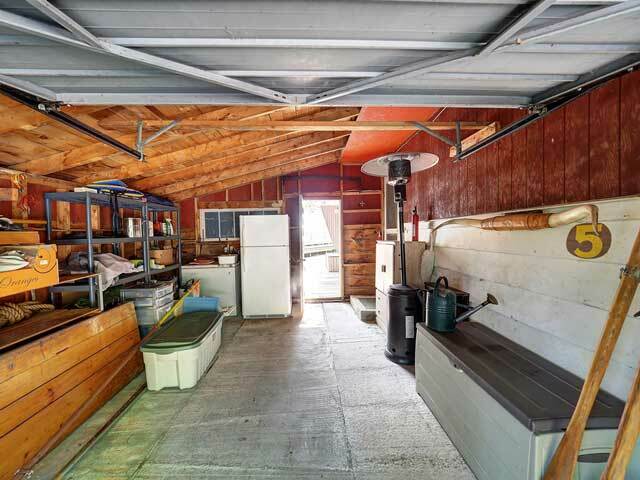 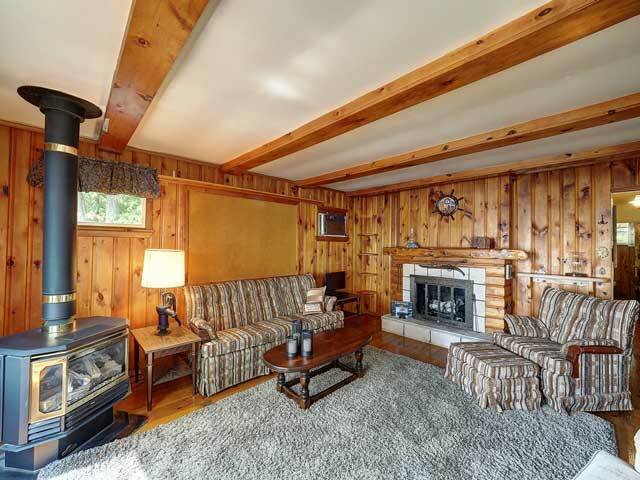 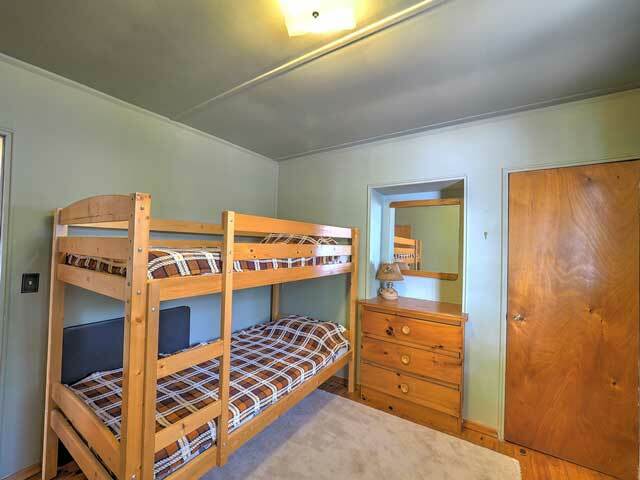 The well-maintained cottage has open concept living, dining and kitchen facilities, four bedrooms, a four-piece bathroom and an attached single garage. 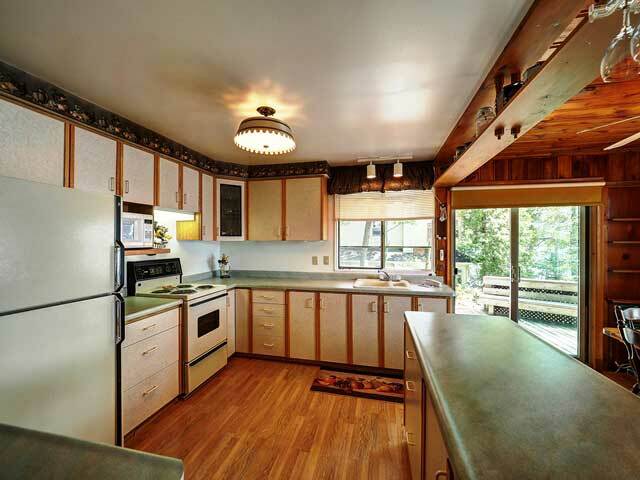 Heating is provided by a propane stove. 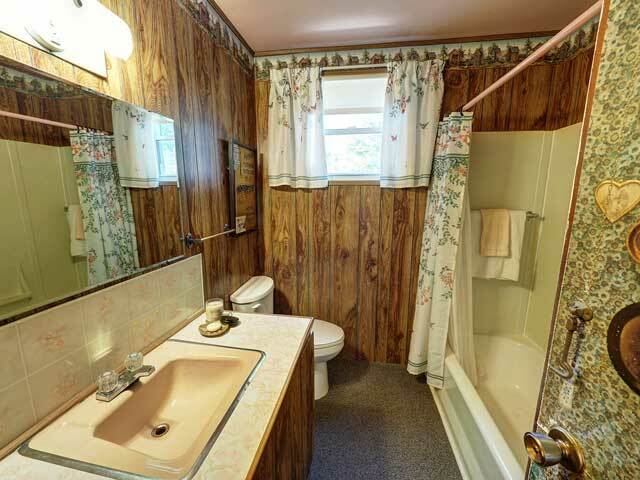 A new septic system was installed in 1995. 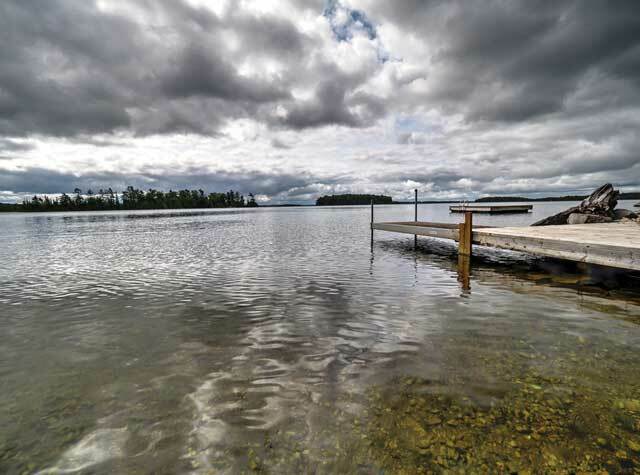 There is a three-season lake water filtration/UV system, as well as a new hot water tank. 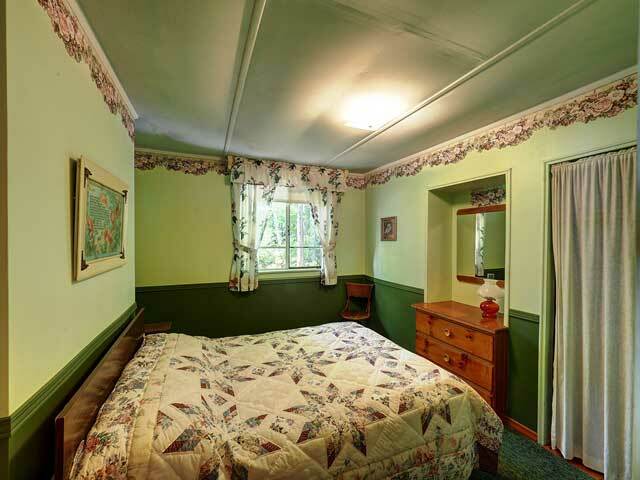 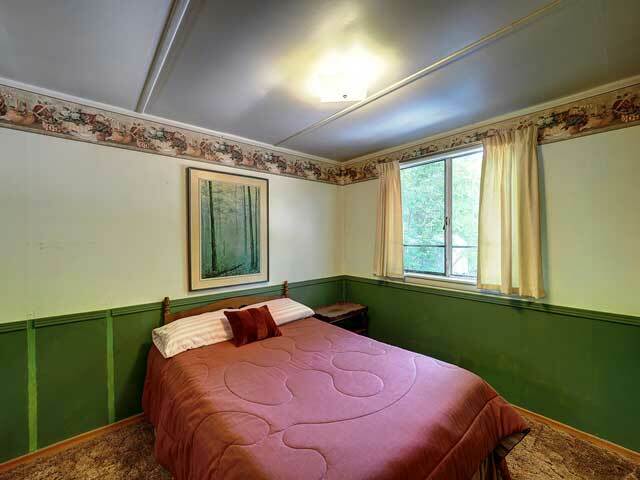 All furnishings are included. 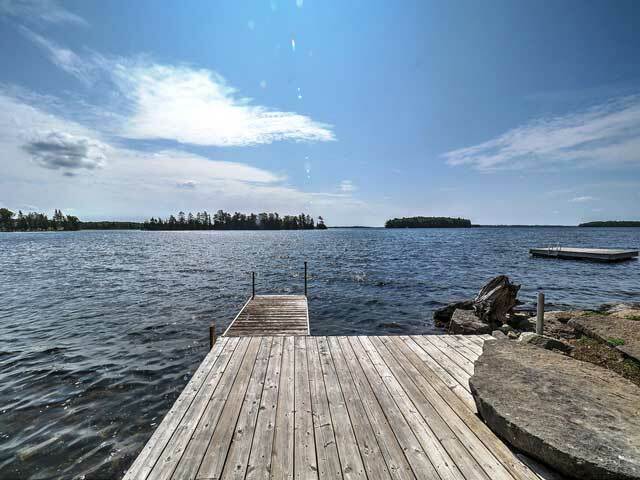 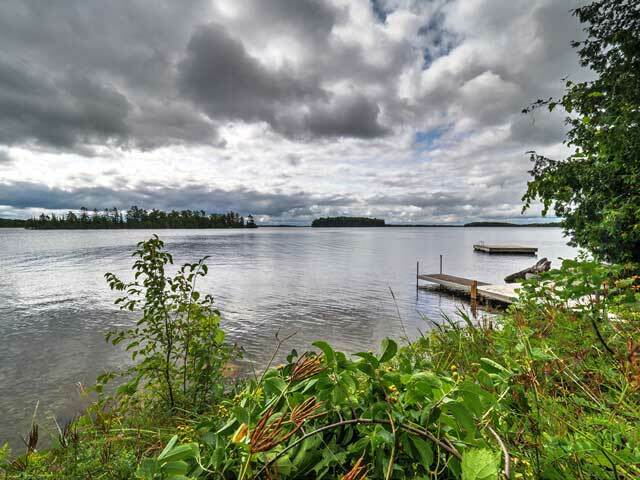 The shoreline has hard gravel/shale bottom, with deep water off the dock for swimming and boating.